There are two different versions of composting that you can add to your routine to get even more nutrients out of your compostable materials for your garden. The two practices to be gone over here is vermicomposting and compost tea. 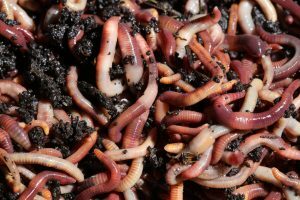 Vermicomposting uses nature’s little helpers, earthworms, to help in breaking down materials. 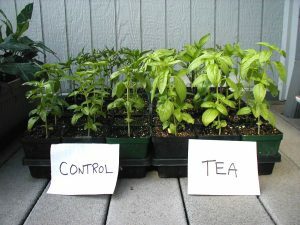 Compost tea uses your compost in the same method of a tea bag to create a rich broth for your plants. One way to kick up your composting efforts is by using vermicomposting. Most gardeners love earthworms in the garden because they help with aerating the soil, but they are also excellent for putting nutrients back into your soil. 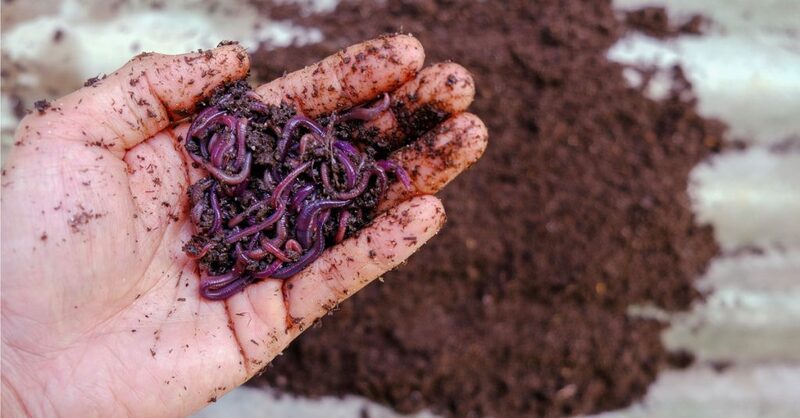 Vermicomposting is using worms to compost your materials for you. The earthworms will eat the food and materials put into their compost bin, and create wonderful worm waste called worm castings. This creates a very rich compost. Eisenia foetida worms going to work. You may think that you can just add some worms from your garden into a compost bin, but it’s better to use either Redworms or Eisenia foetida. These are both very popular worms for vermicomposting as they are well suited to being in the compost bin. There are some specially made vermicomposting bins that are great for this purpose as they are built with the worms in mind to protect them and keep the composting moving forward. The size of your bin will determine how many worms you can have, and this will help to determine how much compost material you can put in at one time. After a few months, you’ll empty it out to get the castings to use around your garden, and start the entire process again. If you maintain the bin correctly following the instruction, there should not be any type of smell. That means you can keep your vermicomposting bin indoors or outside. One thing to keep in mind with placement is the temperature. Too hot or too cold weather can spell disaster for your worms. For instance, Redworms like to be between 50 and 70 degrees to live life as they normally would while making plenty of castings for your garden. 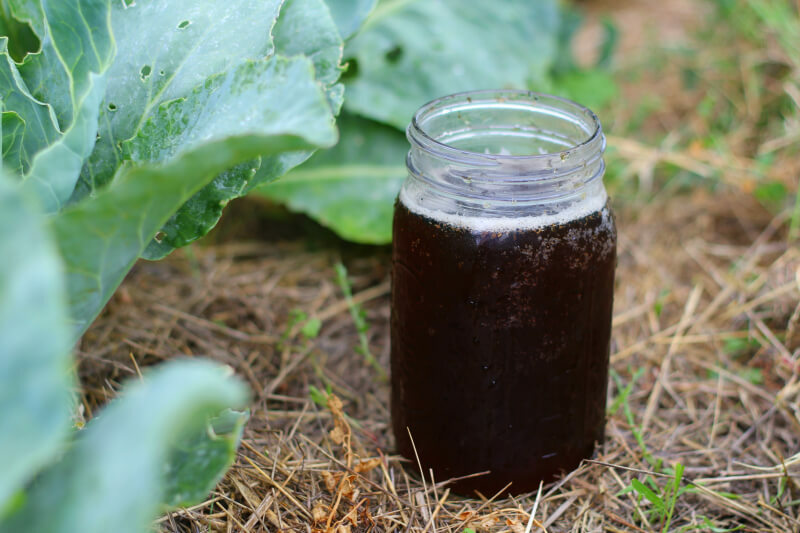 Once you get your compost bin or pile going, it’s just a short leap to making your own compost tea that your plants will adore. Think of it like putting your compost into a tea bag that is steeped in water. Your compost tea will have trillions of microbes in it that is beneficial to your soil that can be used as a spray or a drench. There are some kits that make it easier to create your own compost tea, or you can find a DIY plan that you can use. Once you decant your tea from your brewer, you’ll want to use it within the next four to six hours as it will keep all the goodness that was brewed up for about that long before it starts breaking down. Store it in an open container that isn’t clear to prevent light from getting to it and in a cool area if you plan using it a little later. The container you use shouldn’t have been used previously to store any chemicals to prevent any contamination. If you don’t have enough places to use it all at once, pour it back into your compost pile to keep the pile moist or you can just pour it right into the soil. Nothing has to go to waste with it. Either one of these methods is a great ways to get more out of those materials you used to just toss into the trash can without a second thought. Starting a compost bin is a great first step, and vermicomposting and compost tea are great additional methods to add. Once you get your systems set up, it’ll be great to have this all natural fertilizer to add to your growing plants without having to pay for it while being green.